I’m a big fan of Mysskin and have been slowing working my way through his earlier films whenever I can track them down on DVD. However I put Nandalala at the end of the queue, since it’s a change of direction from his more usual crime thrillers and didn’t sound like my cup of tea. But I should have known better. Nandalala is still very much a Mysskin film with a focus on the dark side of human nature, although this time there are some lighter moments scattered among the social commentary of the film. Even better, Mysskin himself makes an appearance in this film as one of the lead characters and does almost as good a job in front of the camera as he does on the other side. Essentially Nandalala is a road-trip film with a young boy and a mental patient who has escaped from an asylum both searching for their mother, although their reasons for doing so are very different. Aside from their own journeys, both physical and metaphorical, along the way they meet up with an interesting mix of characters that serve to illustrate the joys and the difficulties of life in rural India. Although it does move at a slow pace, perhaps to go along with the walking pace of the journey, Nandalala is a beautiful film with a heartfelt screenplay and is very well worth a watch. The story opens with Akhilesh, commonly known as Agi (Ashwath Ram), waiting outside his school. There are 15 seconds of silence while other pupils and their parents’ stream past his downcast head, which is an incredibly effective way to describe his isolation and give a general idea of his circumstances. When Agi does walk home, it’s to a greedy servant and his blind grandmother, both of whom need him for their own reasons. While it’s obvious he doesn’t live in abject poverty, there is little affection and no joy in Agi’s life. His most precious possession is a photograph of himself with his mother as a baby and he takes advantage of a school trip to set off on a journey to find her. 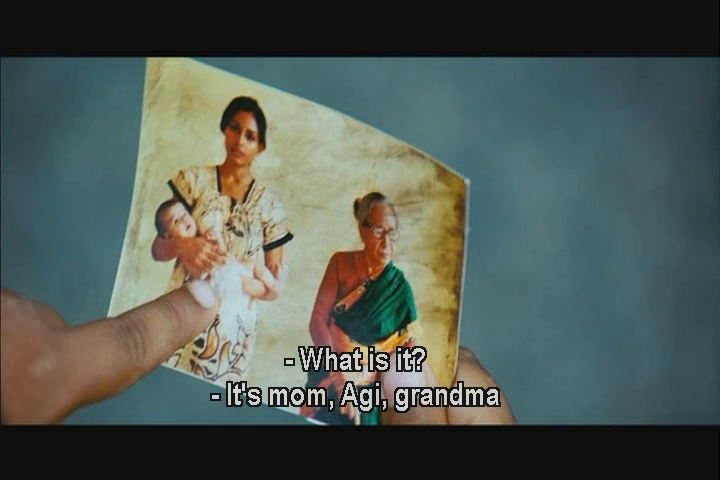 Agi seems well prepared with his mother’s address, her photograph and a relatively full wallet, but he doesn’t have any real idea about how to find her. Just to make matters worse he is robbed in the local town and left without the means to buy anything let alone a bus ticket to Annaivayal. His journey seems to be over before it has started but he chances to meet up with Bhaskar Mani (Mysskin), a mentally disabled man who has escaped from an asylum and is trying to find his own mother. Bhaskar is searching for answers, wanting to know why his mother abandoned him to the mercies of the hospital staff and has never visited or contacted him. Despite their many differences, they make a good team as they travel together to find their respective mothers. In many ways Agi is a typical young boy from a small town. He’s had a sheltered existence and his innocence and loving nature colour his approach to everyone he meets on the road. He is accepting of Bhaskar and his mannerisms, but still manages to become exasperated when Bhaskar does something particularly unhelpful, although this doesn’t change the easy partnership the two share. Ashwath Ram is excellent and plays his part perfectly throughout. His eagerness and excitement as he runs around the village searching for his mother is infectious, while his emotional ups and downs are natural and feel very honest. Agi’s guileless approach to life and his innate practicality are perhaps a little unlikely given his upbringing, but they do mirror a similar innocence and matter-of-fact abruptness in his companion. Mysskin is surprisingly good as Bhaskar, although he does have a tendency to overact and occasionally over-emphasise some of Bhaskar’s obsessive mannerisms. Initially when in the asylum he continually runs his hand along the wall or the bars beside him in a behaviour pattern that fits well with his character’s mental disabilities, but some of his later actions seem more contrived and don’t fit as well with his mental health issues. However, he does an excellent job of portraying a child-like innocence that has an effect on everyone he meets, and if his sudden rationality at some points seems rather opportune, his moments of insanity never become too over-the-top. The film is at it’s best when it relies on the situations the two companions find themselves in to drive the narrative, ably assisted by Ilayaraaja’s absolutely beautiful background music. There is little dialogue to draw attention away from the body language, which is much more expressive than any long speeches could ever be, and the songs are equally effective in adding depth and emotion to the film. This is a beautifully sad song that contrasts with the happy attitude of Agi and Bhaskar’s mood swings and general instability. Just perfect. Snigdha Akolkar appears in the second half as a working prostitute whose presence adds rationality to the story. Initially she is understandably annoyed with Bhaskar and Agi when they drive away her paying customer but later events lead to Anjali accompanying the two on their quest. Her presence allows a glimpse of a softer side to Bhaskar, and gives Agi the opportunity to be just a little boy searching for his mother. It’s a powerful role despite the short screen time and Snigdha is excellent, particularly when she allows glimpses of her characters emotional fragility to escape her seemingly strong and confident presence. Nasser and Rohini also appear in small but very effective roles, and the rest of the supporting cast are all uniformly excellent and perfectly understated. As with most Mysskin films, there are plenty of odd angles and shots of feet. This is very effective during Agi’s desperate search for his mother but also works to draw attention to the journey itself and the miles walked by Agi and Bhaskar. Mahesh Muthuswami adds his expert touch to make the countryside look sumptuous, whether it’s the plants along the roadside, the luscious green fields or the buildings and villages along the route. It is a beautiful part of the countryside, although Mysskin also points out the shady characters and quick violence that lurks amongst the idyllic scenery. Nandalala is much better than I expected from the brief description on the DVD. It’s difficult to describe just how emotive the film is without revealing too much of the plot, but as it’s a Tamil film it’s probably obvious that there is no happy ending – or at least not completely. However the film is all about the journey and the relationship between Bhaskar and Agi, and from that point of view it is a resounding success. 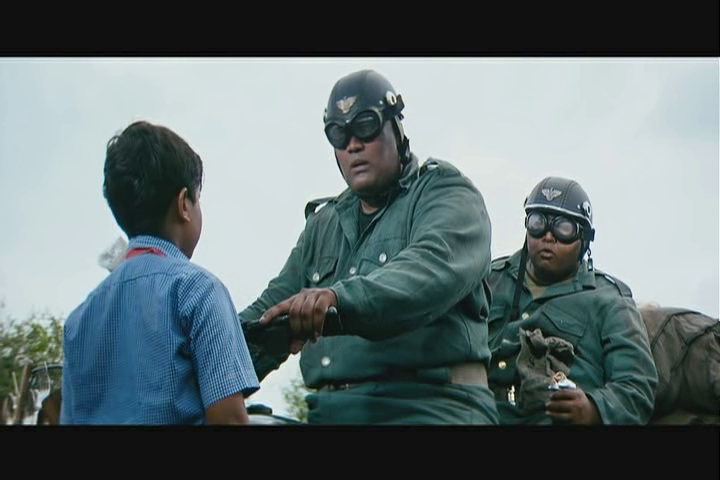 Mysskin excels in adding small details, such as Bhaskar’s stolen shoes that he wears back to front, that add depth and interest to his story and characters. I love this film just as much as his thrillers and am impressed that Bhaskar can turn his hand to such a different style of story so competently. It’s also commendable that he has not only written and directed the film but also acted in a major role without stealing the limelight or making it all about ‘Bhaskar’s story’. It’s probably not for everyone; there is no ‘action’, no comedy track and no big dance number, but the simple emotions and finely nuanced performances make this one for fans of more character driven cinema. 4½ stars. This entry was posted in Kollywood and tagged Ilaiyaraaja, Mahesh Muthuswami, Myshkin, Mysskin, Nandalala, Nasser, Rohini, Snigdha Akolkar, Tamil. Bookmark the permalink. I am happy that you have seen Nandhalala, Mysskin’s most original and his best from my perspective are his two newest ones Onaayum Aattukkuttiyum(wolf and the lamb) 2013 in which mysskin acted in the titular character and Pisasu(Ghost) 2014 once again creating his own unique genre. Please somehow try to get hold of these two gems and I will promise you that you will not regret the effort. As for Ilaiyaraaja don’t know how to address him anymore human, genius, god don’t think nothing will suffice for him and as far his music is concerned he has held the pulse of the audience for the past 40 years. His collaboration with mysskin extended for OA as well resulting in this gem. Hope you will listen and enjoy it.TC. Onayum Aatukuttiyum is available, but without subtitles – I’m not sure how easy it will be to follow given how complex Mysskin’s films can be. I don’t think Pisasu has been released on DVD yet either. However they are both definitely on my list of films to see! After a gap back on your blog to read some more reviews. I watch the film first then read your review so as to see what your thoughts on and most of the times you’re spot on. 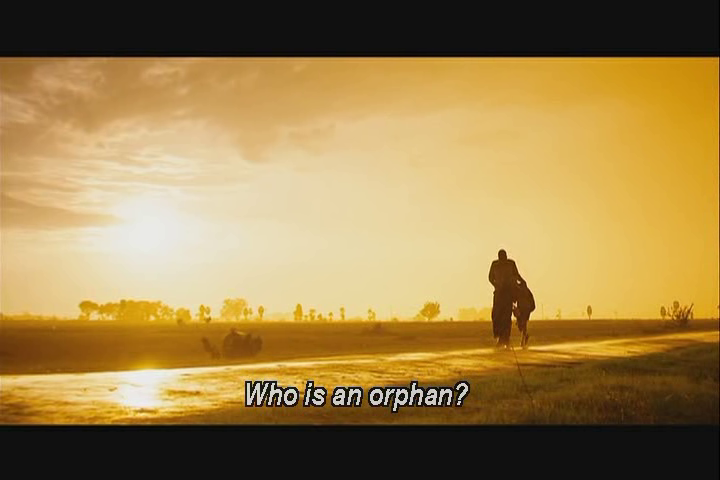 I always enjoy your take on the cinematography especially in a Mysskin film. As always nice review on Nandalala. 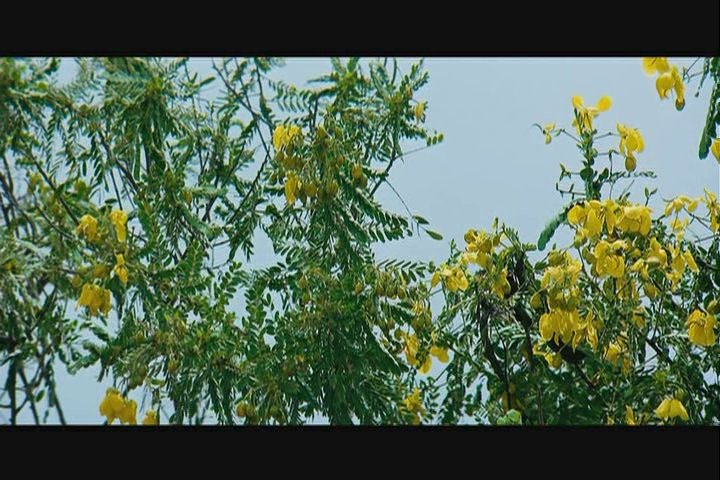 However, as Siddhartha mentions above please do watch Onaayum Aatukuttiyum and also Pisasu. 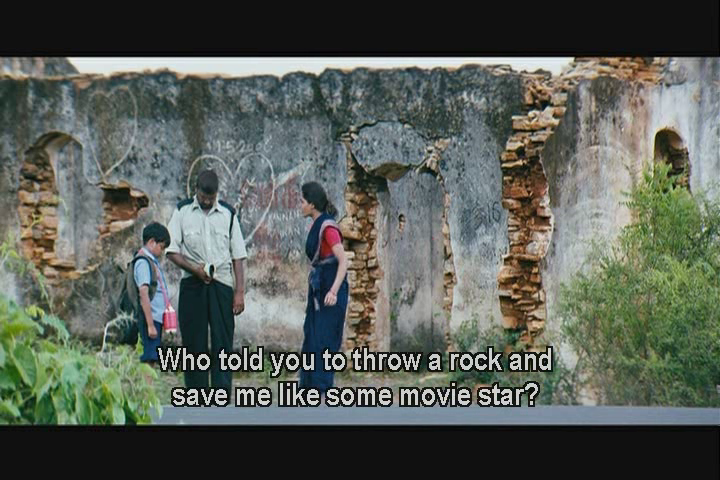 Especially Pisasu, I watched it in theater and it goes straight into my list of greatest films I have ever watched. Its a completely a new genre for Mysskin and he does an excellent job as the writer and director of the film. I definitely want to see both films – I am a big fan and hopefully they will turn up on DVD soon.